Hey World Bladers! We apologize for the delayed upload, though, future CoroCoro issues will be uploaded sooner. 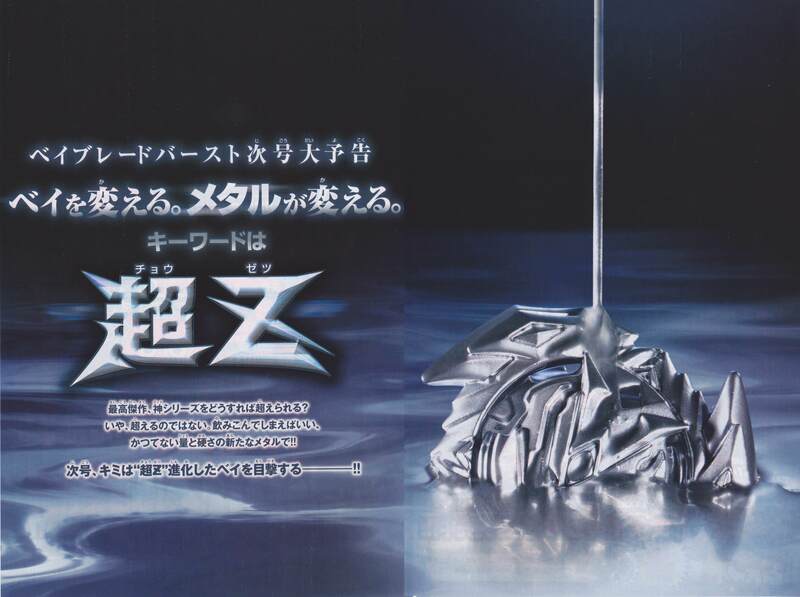 A special preview of Super Z, showing liquid metal being poured on the now-confirmed Winning Valkyrie! TAKARA-TOMY has partnered up with Moonstar to release Beyblade themed shoes! Each pair includes 3000 BeyPoints, which can be redeemed Japanese Beyblade Burst App. To advertise the CoroCoro channel, they give a preview of a Screw Trident made entirely out of chocolate! The full video can be viewed here. 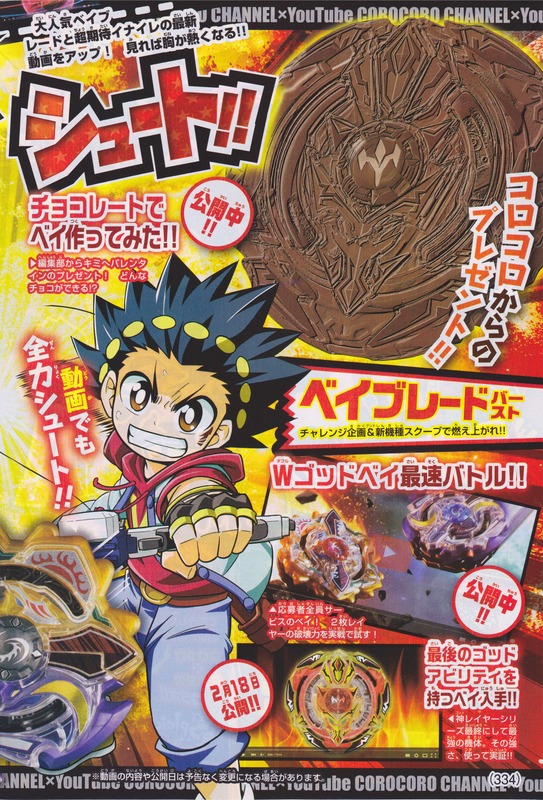 Beyblade Burst tournaments were held at the CoroCoro Base store, with the Burst event having been on February 18th. 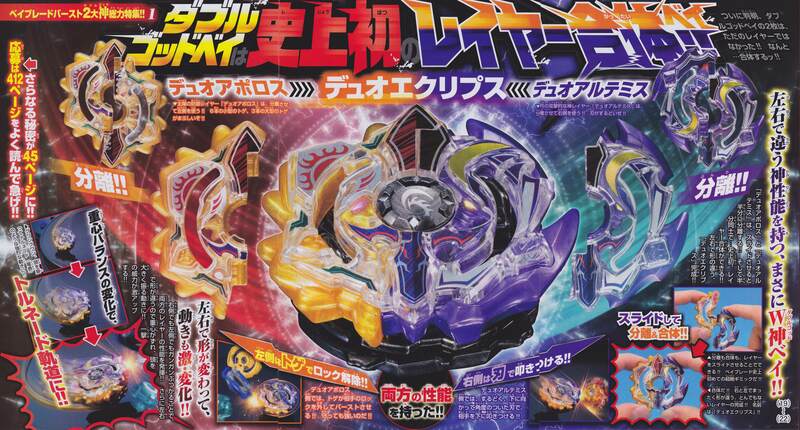 Also shown is B-101 Random Booster Volume 9, featuring Beat Kukulkan 7Under Hunter as the main prize Beyblade as well as Dranzer F Yell Zeta (Burst version) as the second prize Beyblade. Also released was Spriggan Requiem 0 Zeta as well as Twin Nemesis 3Hit Ultimate Reboot. The shoes look soo good! too bad they're only for kids or i would've bought a pair. Thanks for this Hato! Those Beyblade Chocolates look so good!Lol.. And that Super -Z poster with the silver Valkryie is just marvelous! Hope they release this layer in silver too! (May. 14, 2018 3:21 AM)Hato Wrote: Hey World Bladers! We apologize for the delayed upload, though, future CoroCoro issues will be uploaded sooner. Hey Hato! First off, thanks for the scans! 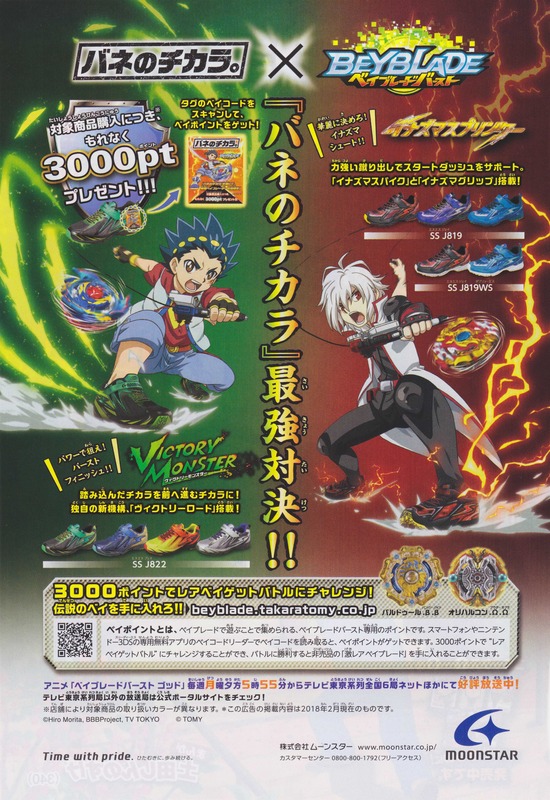 Chocolate Beyblade designs and Beyblade shoes, that's some kind of stuff, haha. Interesting. 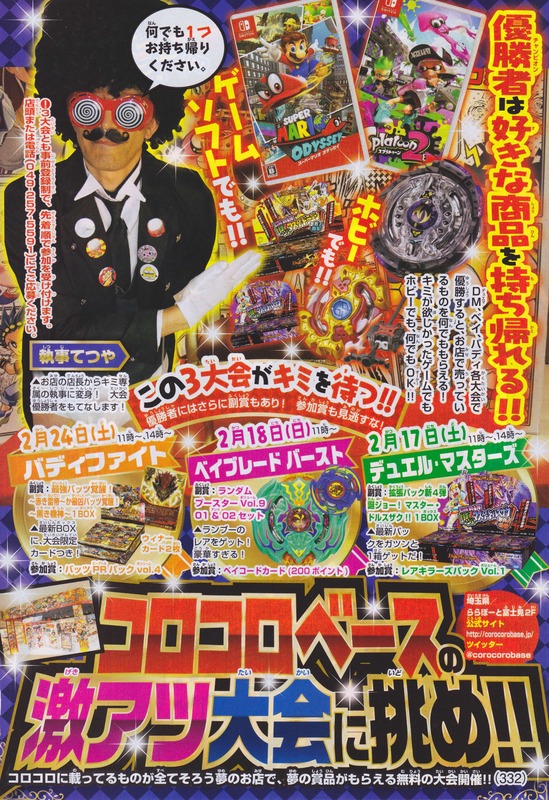 I had a question, do you have to rip apart your Corocoro to make good scans like these? Or do you cut the pages out?